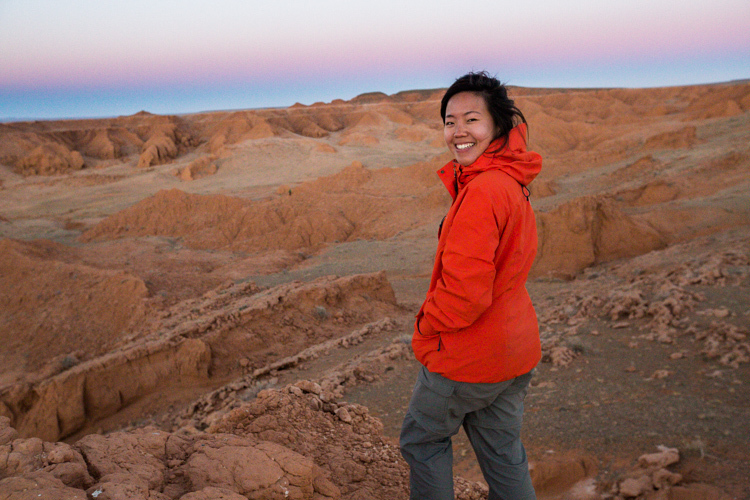 The Gobi Desert was definitely one of the places that we looked forward to most during footprintsacrossasia. 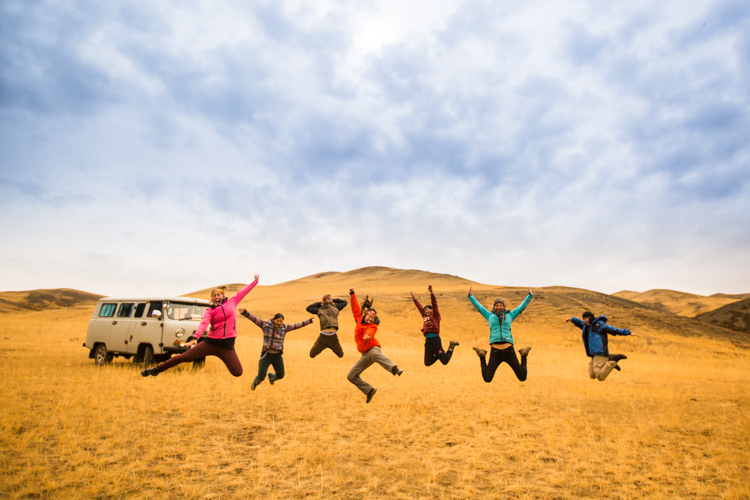 We’ve heard so much about the unique culture and beauty of Mongolia and finally, we get to experience it ourselves! 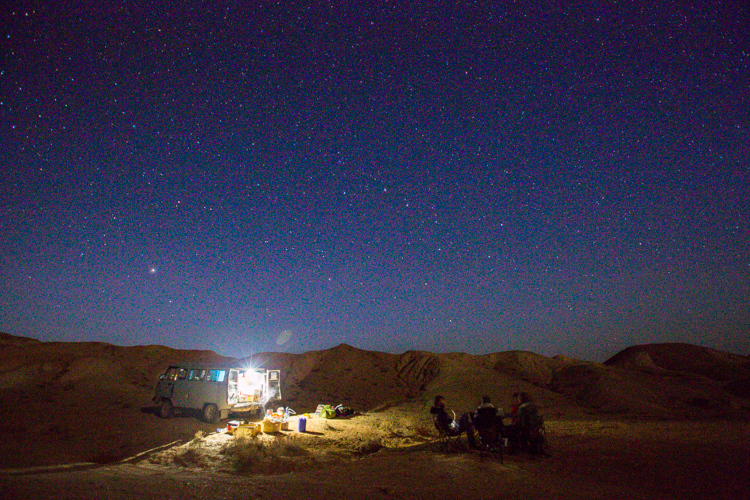 We did a 8 days Gobi Desert Tour with Golden Gobi Guest House and it was one of the best decisions that we’ve made. They assured us that their guides and drivers were experienced, knowledgeable and reliable. True enough, they delivered their promises well! Our guide, Boogii, and driver, Oogii, were the best! 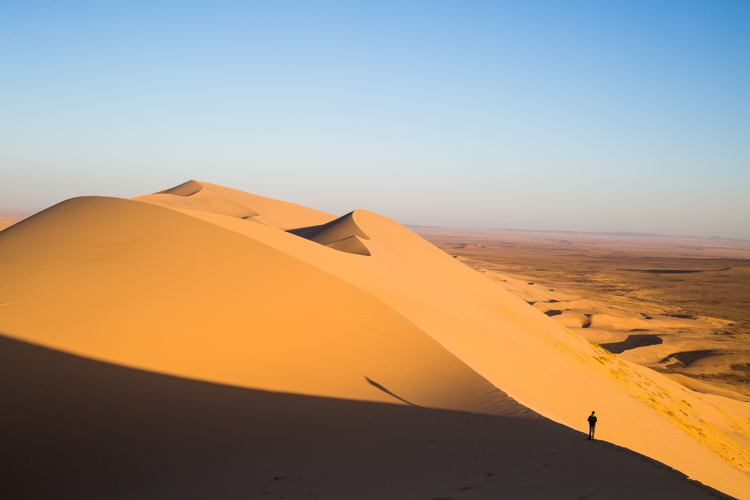 So here’s why the Gobi Desert should definitely be on your bucket list if you’ve never been to Mongolia before! Enjoy! How often do you get to be driven around in such a cool vehicle?! Ok besides it looking really cool, it’s also very comfortable, warm and spacious inside. We had an average of 4-5 hours of drive in the van every day during the tour and thankfully the seats were thick enough to cushion our butts. Also, most parts of the roads were really bumpy and this van handled it well. This van was also big enough to store all of our backpacks, food, cooking and sleeping equipment. 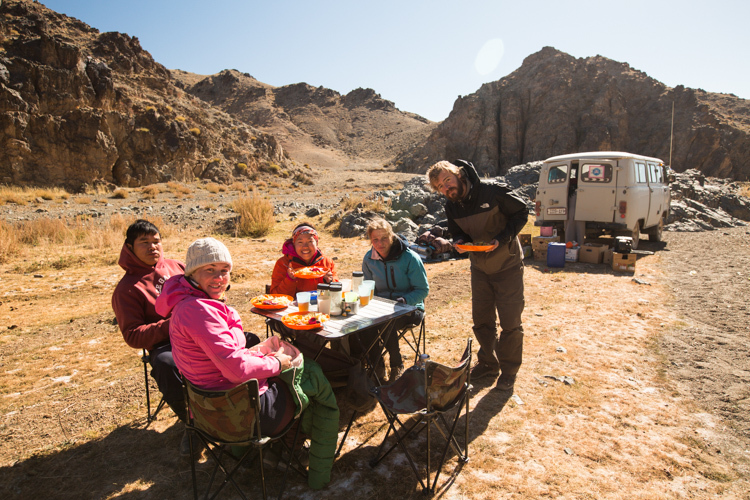 Because of the flexibility and freedom of the van, we could stop anywhere as we like to have our meals. 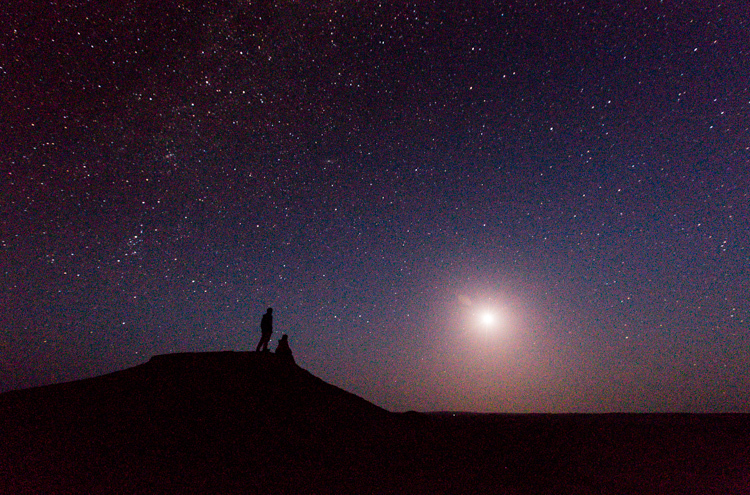 Be it in the middle of a national forest with wild horses roaming around by the riverside or in the middle of Tsagaan Suvarga Canyon under a blanket of a million stars, the feeling was insanely incredible. If you think climbing a mountain is challenging, wait till you try climbing a sand dune. 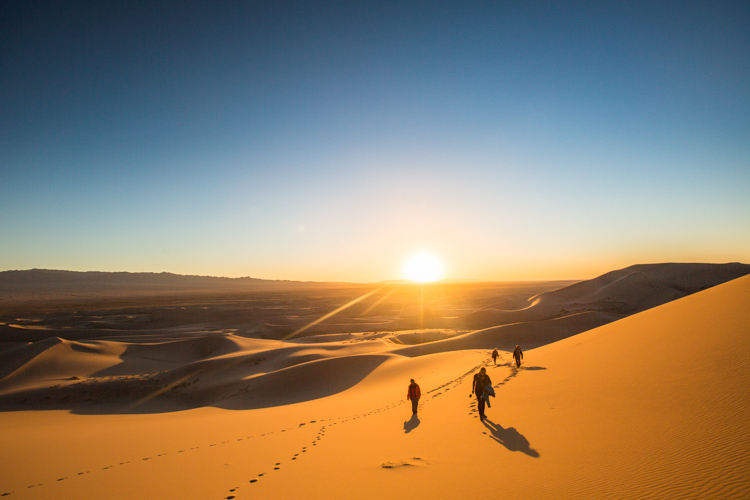 We went to trek the Khongoryn Els Sand Dunes which was one of the largest and most spectacular sand dunes in Mongolia (stretches over 120km). The sand is so soft and fine that your shoes sink entirely into it with every step that you take, which makes it really difficult to climb uphill. 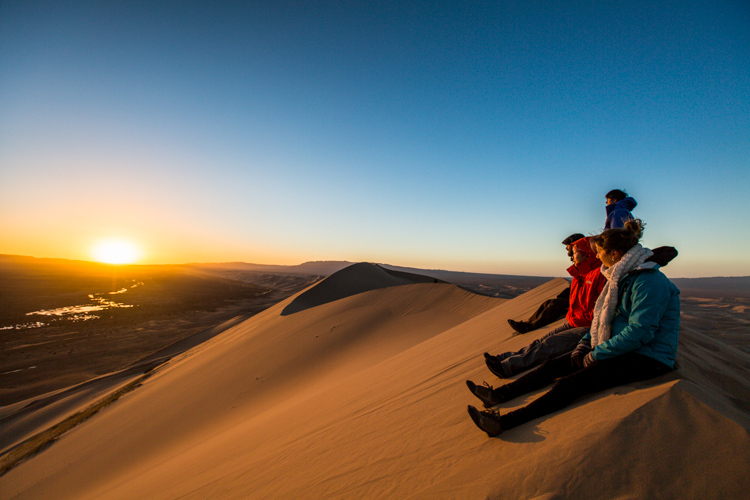 To catch the sunrise, we had to trek up one of the highest peaks of the sand dunes and we could hardly catch our breath as we climbed. It felt almost impossible! Every step forward is half a step back. 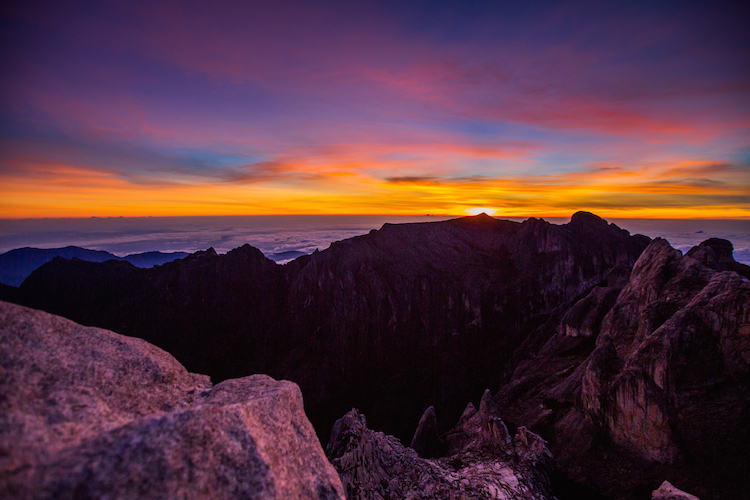 But it was definitely worth every ounce of effort and sweat when you finally reach the top and get to witness the most beautiful sunrise that you’ve ever seen in your life. It was a relatively easy hike with almost flat grounds throughout. But still it was an interesting hike as there were always little obstacles along the way to keep you busy. At times there’ll be a small stream where you’ll have to carefully choose your rocks to step on to get across. 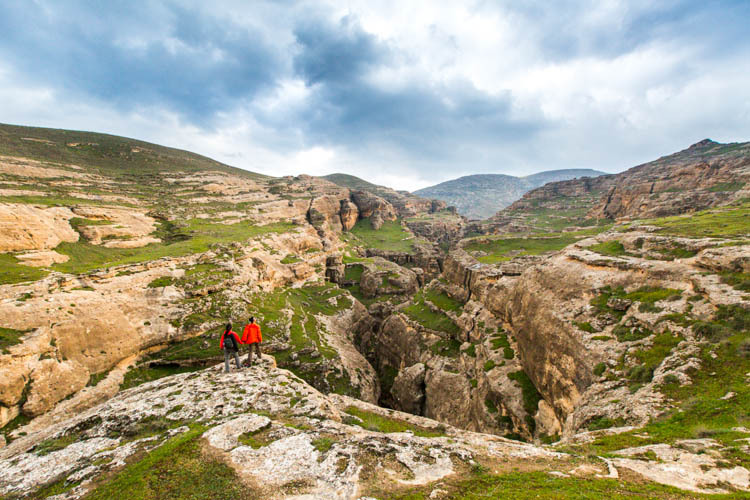 If you’re lucky, you might also get to spot wild white sheep or goats. And that place is said to be at the Flaming Cliffs of Mongolia. This attraction was named the Flaming Cliffs for its spectacular colours. Very beautiful place indeed. Though of course, there were no more dinosaur eggs left. Not sure if it’s just us, but we find that camels are really strange looking animals, but also super cute at the same time! 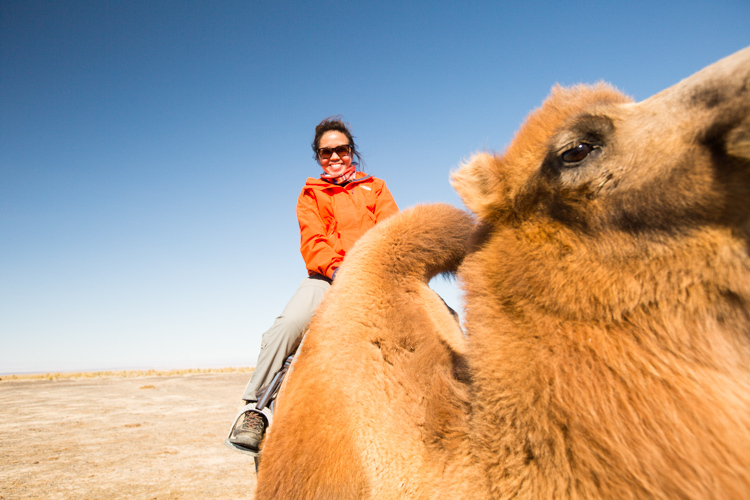 But having said that, riding a camel is so much fun! The fur is so soft and fluffy (unlike an elephant). One strange thing that we noticed was that not all camel humps are upright! My camel’s hump happened to be lopsided and it looked so comical. If you’re interested, do watch the film “Story of a Weeping Camel” which gives you an insight into the nomadic family’s way of life and their relationship with their camels. 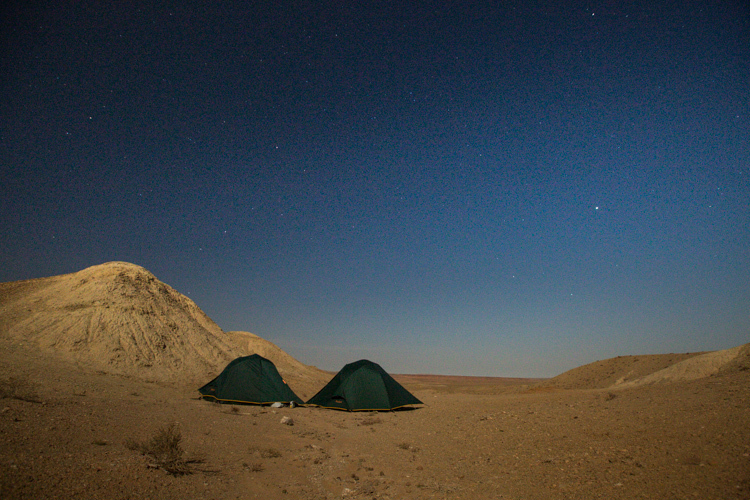 Another amazing experience was camping in a tent under the stars, minus the freezing factor though. It was full moon that night and it was crazy how bright it was even in the middle of the night! We could see perfectly clear without having to use a torch! 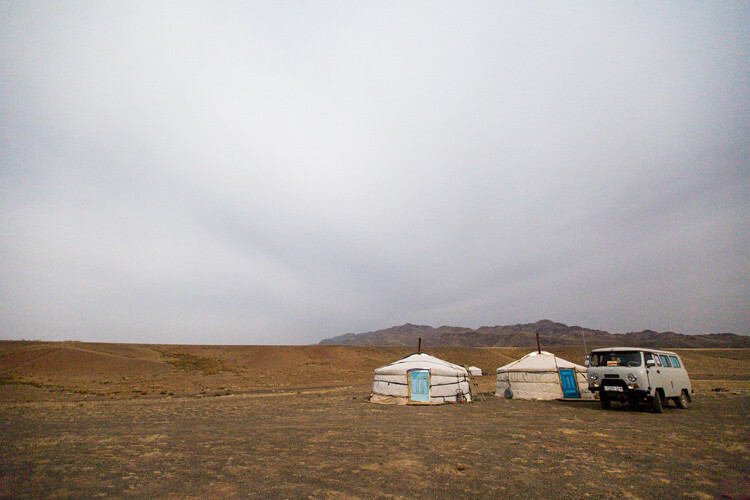 Other nights were usually spent in a traditional Mongolian ger, where sometimes we even get to sleep together with the nomadic family. 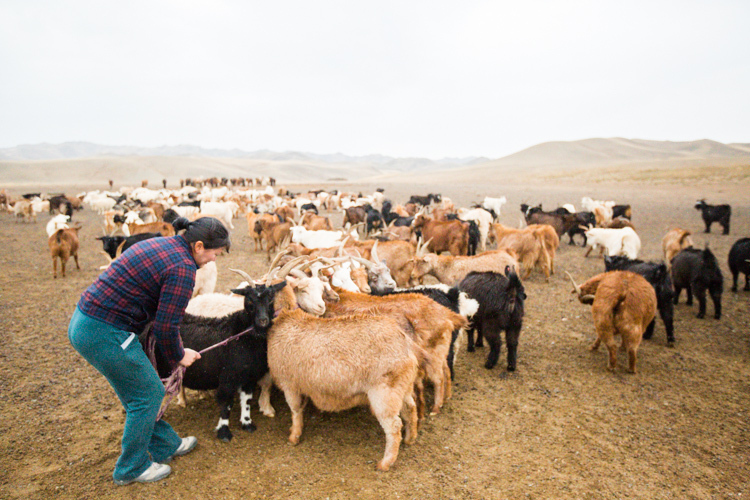 One of our favourite experiences was getting to experience the daily life of a traditional nomadic family. The ger culture is really unique and intriguing. 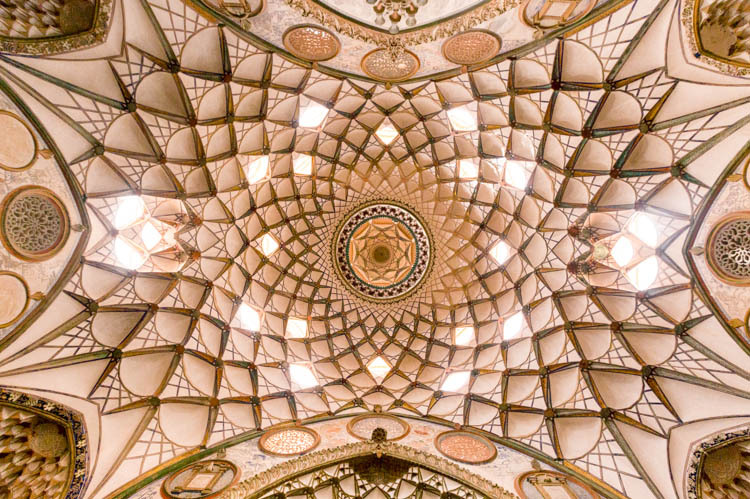 Just the setup and inner decorations alone are enough to keep you amazed. There are also many interesting rules to abide by when you’re inside a ger. For example, you should walk in a clockwise direction when you’re inside, your feet have to always be pointing towards the door when you sleep and many other rules! At night it can get quite cold though once the fire goes out. But at least it’s definitely warmer than sleeping in a normal tent in the outdoors. Oh and they actually burnt dried dung for the fire! 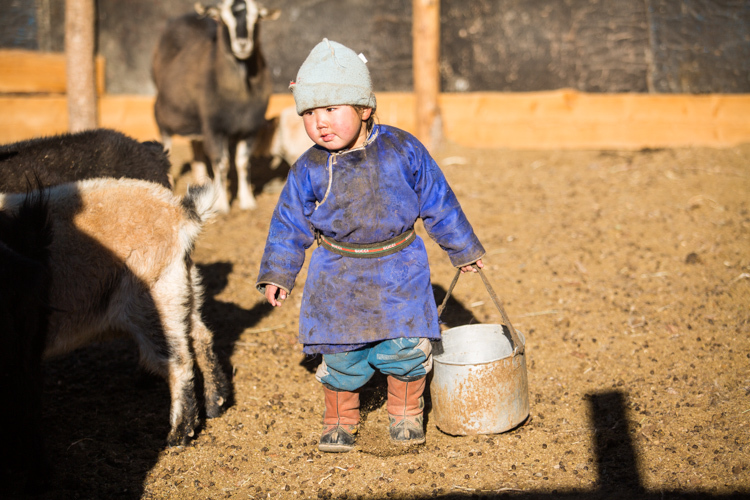 Their daily routine involves herding their animals, milking them, cooking, making yoghurt/tea and bread. All that alone almost takes up their entire time already and they repeat the same routine every day. 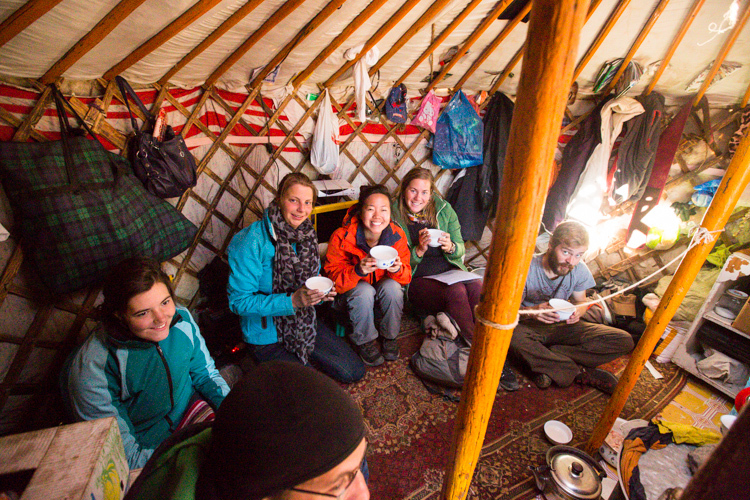 Once you’re inside a ger, the host will normally offer you a bowl of hot goat/camel/sheep/horse/yak’s milk tea, depending on the animals that they have and some traditional food which is usually some dough with butter or cheese made from the goat/camel/sheep/horse/yak’s milk. They will add some salt and butter to the milk and brew it with tea leaves. Very unique style of drinking tea. It tastes not too bad actually when it’s hot. 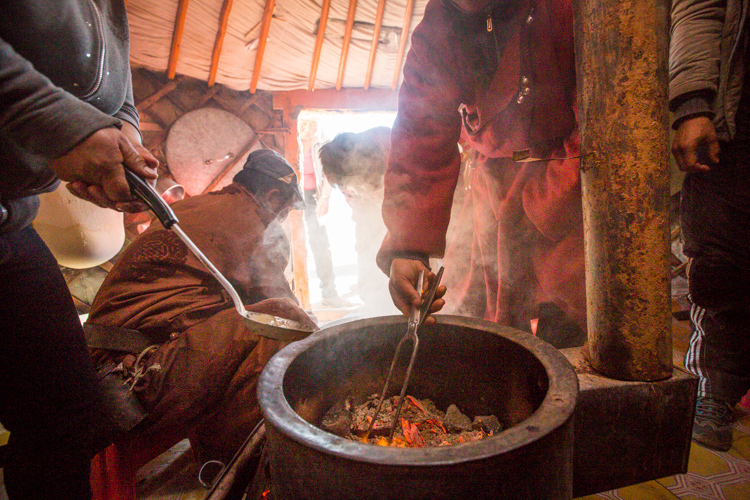 This was another interesting experience where we get to witness the entire preparation process from the selection and slaughtering of the goat to the actual cooking of the meat. We will skip the gruesome details, but at least it was a quick and painless death for the goat. The preparation for the hot pot was definitely very unique. Firstly, they will heat up specially handpicked stones from the river which are supposedly strong enough to withstand the heat. Regular stones will crack under the same heat. Next, they will place the meat on the stones and then alternate the layers of stones and meat. 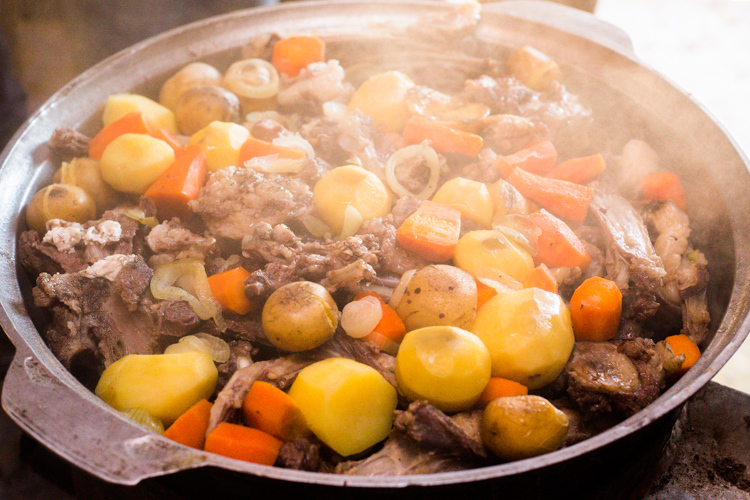 After adding some spices, chopped potatoes, carrots and onions, they placed the lid back onto the pot and left it to cook for an hour. We were quite surprised at how evenly cooked the meat was! And it was really delicious! The meat was so tender and fragrant, you have to try it to understand it for yourself! 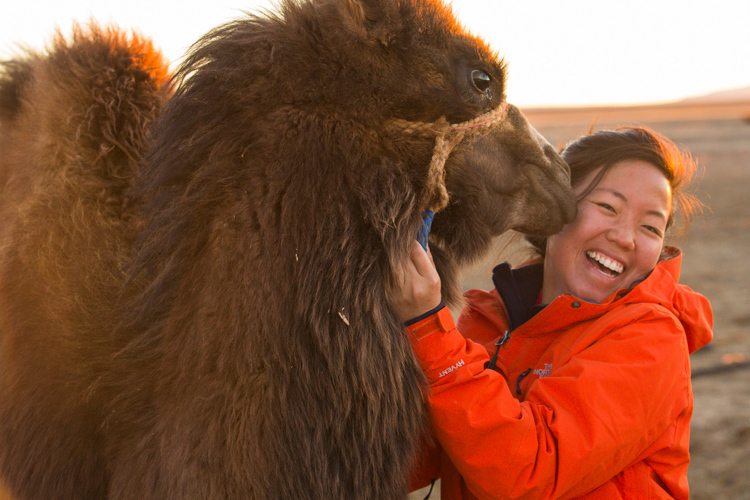 We highly recommend staying at Golden Gobi guesthouse as their tours were really awesome! It’s also very clean with hot showers available and there’s free breakfast too! 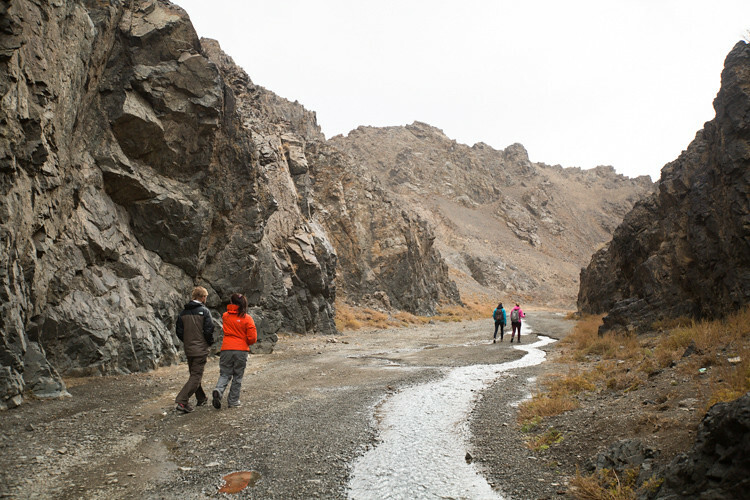 They organise tours to Central Mongolia and other parts of Mongolia as well. 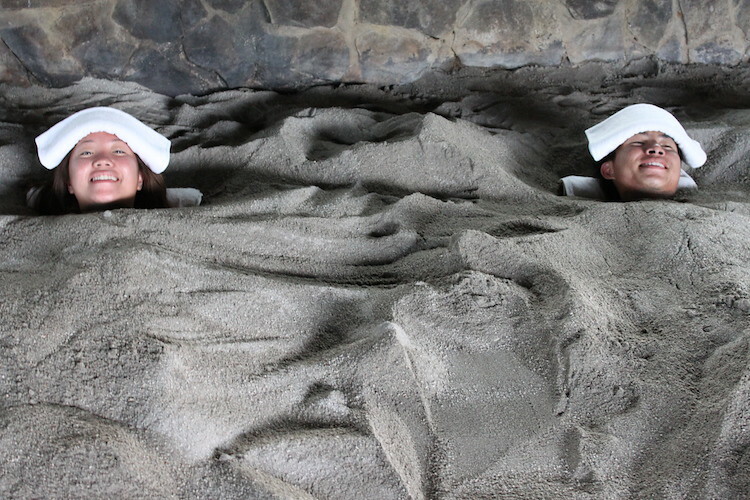 The staff there can speak relatively good English and will be able to advise you on the tours that you’re keen in. 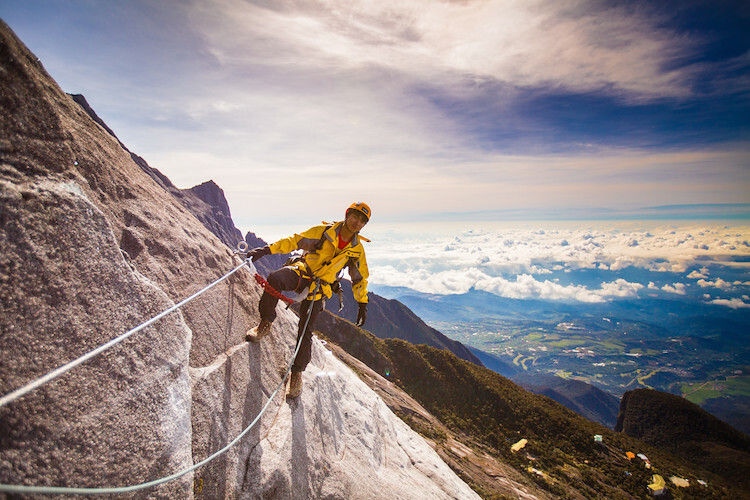 They have a huge base of experienced guides and drivers whom you can trust and rely on. You can check out the positive reviews that they’ve received from other travellers on Tripadvisor. 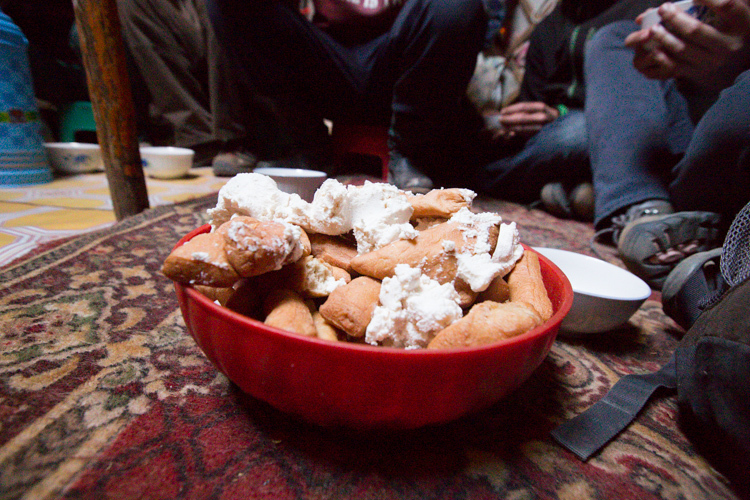 Our guide, Boogii, was such a talented and dedicated cook, our stomachs were well pampered for almost every meal! She really puts in a lot of effort into her cooking and she’s super creative with whipping up new dishes for every meal! We’ve had pizza, sushi, pasta, traditional Mongolian food, soup, Mongolian pancakes and more made by her! 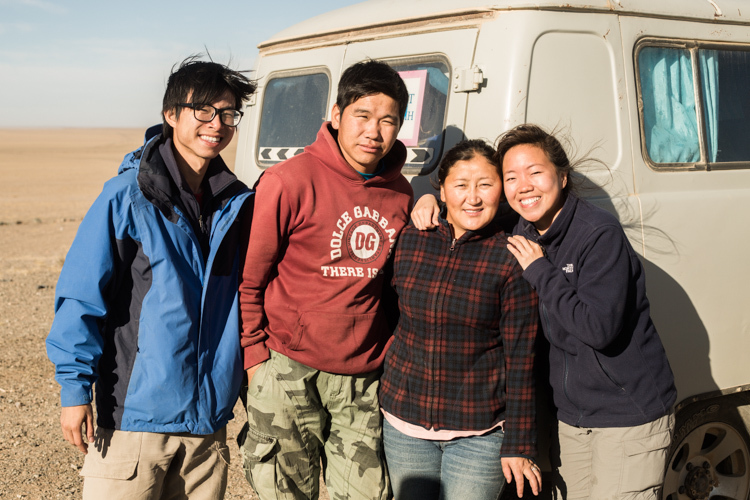 We’ve heard so many horror stories about the drivers in Mongolia and we were quite apprehensive initially. 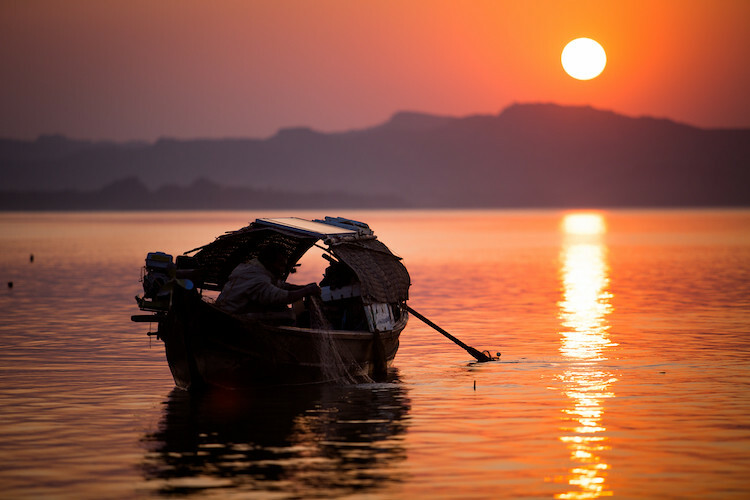 Some travellers told us that their driver was drunk almost half the time and couldn’t drive straight and there was even one driver who stole the tourist’s bottle of vodka which was intended to be a gift for the nomadic family! But after meeting our driver, Oogii, our fears dissipated instantly. He was one of the most responsible and reliable drivers around, not to mention, the funniest too. We felt safe with him driving us around. He also taught us how to play a really fun Mongolian card game without using English at all and we could actually understand him! 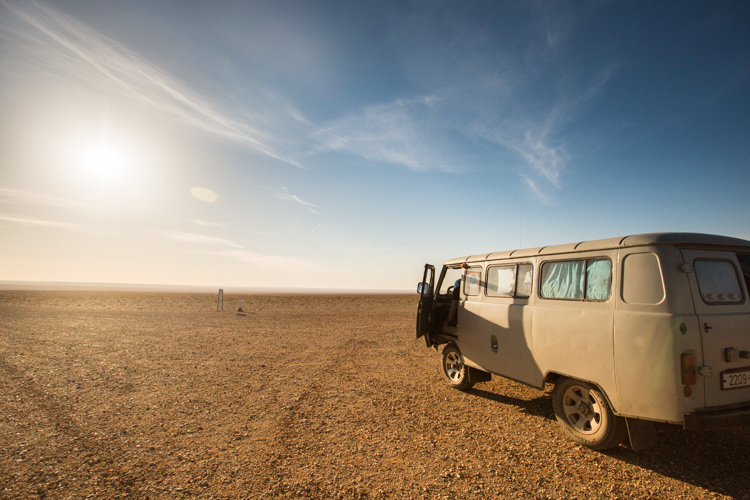 We hope you’ve enjoyed reading about our experience at the Gobi Desert in Mongolia! 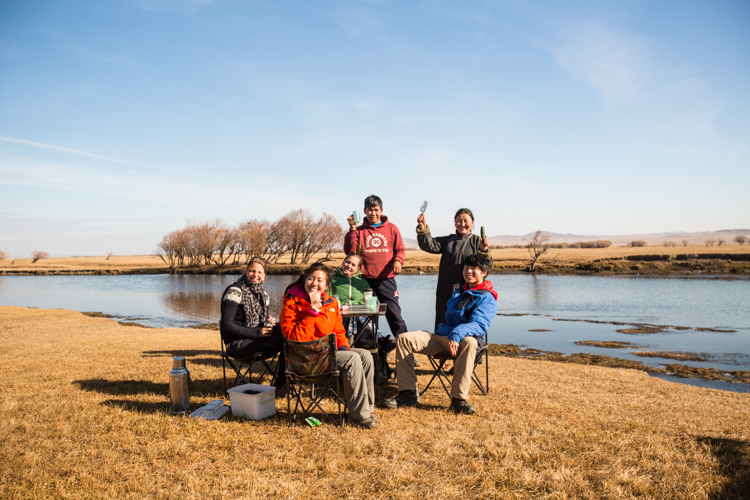 🙂 Do share with us your experience by commenting below if you’ve travelled to Mongolia before too!